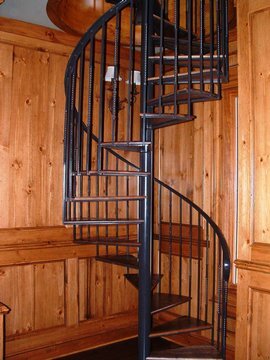 Interior spiral stair for wood treads. 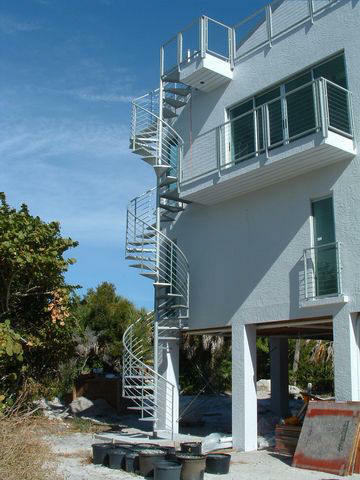 Exterior aluminum spiral stairs and balcony rails. 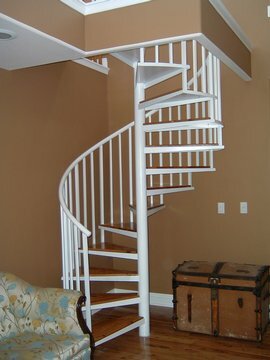 spiral stairs and balcony rails. 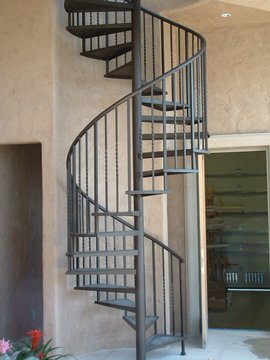 Interior steel spiral stair and custom rails. 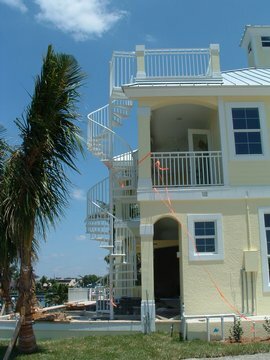 Custom interior spiral staircase on Sanibel. 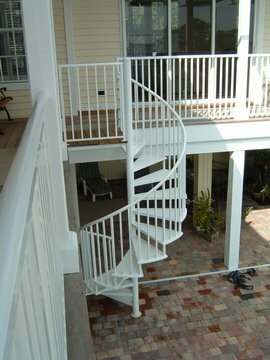 Exterior spiral at Captiva residence.